The Tamashii Nations Akiba Showroom has updated it’s displays once again with a slew of new releases and at least one yet to be confirmed: S.H. 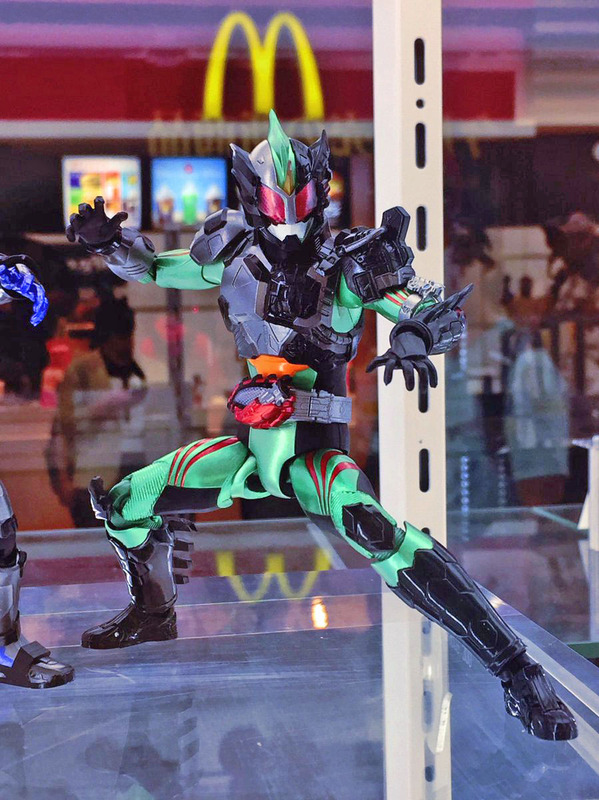 Figuarts Kamen Rider Amazon Neo, slated for October release for 5500 yen. S.H. Figuarts Kamen Rider Amazon New Omega, will also be out in October and is priced at 5500 yen. Both Amazons will be retail releases. S.H. Figuarts Retsu Ichijouji, the original Space Sheriff, Gavan has been lurking around as a prototype since last year but has now been confirmed for a Tamashii Web Exclusive release in November for 6264 yen! S.H. Figuarts Kamen Rider » Continue Reading.